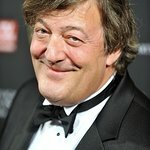 Stephen Fry has written an open letter to British prime minister David Cameron, calling for Russia to be banned from hosting the Winter Olympics because of its anti-gay laws. “An absolute ban on the Russian Winter Olympics of 2014 on Sochi is simply essential,” he wrote. "Stage them elsewhere in Utah, Lillyhammer, anywhere you like. At all costs Putin cannot be seen to have the approval of the civilised world. “He is making scapegoats of gay people, just as Hitler did Jews. He cannot be allowed to get away with it. I know whereof I speak. I have visited Russia, stood up to the political deputy who introduced the first of these laws, in his city of St Petersburg. I looked into the face of the man and, on camera, tried to reason with him, counter him, make him understand what he was doing. 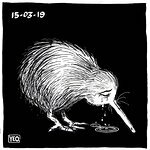 All I saw reflected back at me was what Hannah Arendt called, so memorably, “the banality of evil.” A stupid man, but like so many tyrants, one with an instinct of how to exploit a disaffected people by finding scapegoats. Putin may not be quite as oafish and stupid as Deputy Milonov but his instincts are the same. He may claim that the “values” of Russia are not the “values” of the West, but this is absolutely in opposition to Peter the Great’s philosophy, and against the hopes of millions of Russians, those not in the grip of that toxic mix of shaven headed thuggery and bigoted religion, those who are agonised by the rolling back of democracy and the formation of a new autocracy in the motherland that has suffered so much (and whose music, literature and drama, incidentally I love so passionately). “I am gay. I am a Jew. My mother lost over a dozen of her family to Hitler’s anti-Semitism. Every time in Russia (and it is constantly) a gay teenager is forced into suicide, a lesbian “correctively” raped, gay men and women beaten to death by neo-Nazi thugs while the Russian police stand idly by, the world is diminished and I for one, weep anew at seeing history repeat itself.